Recently I participate in an online exam at Rajagiri College in Kerala, for NIMHANS Staff Nurse recruitment. NIMHANS is actually a medical institution. However, they use IBPS.IN platform for their online exam and selections. People consider IBPS, which operates the site www.ibps.in as a bank exam facilitator. But IBPS technology is used by several other government organizations is India, NIMHANS is just one of them. Here I’m to explain my experience with IBPS exam, process for online application, and the procedure at the center. I just brought to know about the launch of the Windows Live Essentials 2012 from the official Windows team blog. If you’re not familiar, Live Essentials is an integrated suite of applications commonly available as free for Microsoft Windows desktops. This version of the software includes Windows Movie Maker, Photo Gallery, Mail, Live Writer, Messenger 2012 editions, all upgraded for Windows 8 with a set of new features. At present, it is not possible to download a standalone version of the applications mentioned above. You’ve to download the Live Essentials 2012 offline installer and select the required apps during the installation process. 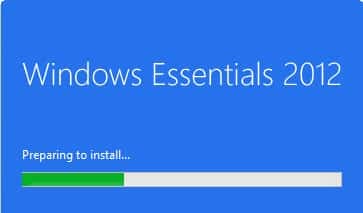 Another fact is that Microsoft doesn’t provide a direct link to download Live Essentials 2012 on their official page for the product, but I got the link from the Windows team blog website. Find the link at the end of this page after reading the changes in the new application. 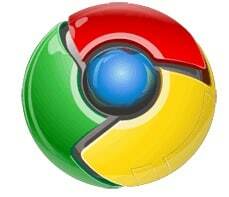 Google has released the final version of the Google Chrome web browser for Windows, Mac and Linux. Unlike the previous builds, Chrome now have some important changes in this version that makes it faster, reliable and secure. I have been using Firefox from the last couple of years, and with the introduction of extensions I made a switch to Chrome. Google Chrome now has a market share of 64% in global browser usage map, and it is expected to improve 12-13% with the launch Chrome 10. SBI Life announced an unlit linked investment + insurance plan Smart Pension. It is the new retirement plan from the company after the change in ULIP rules introduced by the IRDA in last September. We had already informed you about SBI Life Smart Performer, which is a non-participating general ULIP plan and LIC’s Pension scheme Pension Plus. In this post, we will review the features of SBI Life Smart Pension, benefits, charges and latest NAV value. The iPhone Dev-team has managed to provide a working unlock and jailbreak solutions for iPhone 3G and 3GS, just a week after the iOS 4.2.1 firmware releases. They first released Redsn0w 0.9.6 b4 untethered/ tethered jailbreak. And then PwnageTool 4.1.3 and Redsn0w 0.9.6 b5 unlock tools for Mac and Windows. Currently, these iOS 4.2.1 unlock works with iPhone 3G and 3G S models with baseband higher than 05.14.02. They use iPad OS 3.2.2 to upgrade the modem firmware of the target device to 06.15.00, so that it is compatible with Ultrasn0w 1.2 unlock through Cydia. As expected, Apple today rolled out the iOS 4.2.1 firmware. The iOS 4.2 firmware is available for iPhone 4, iPhone 3G S, iPhone 3G, iPad 3G, iPad WiFi, iPod Touch 4G, iPod Touch 3G and some other devices. Among all devices, iPad is the biggest beneficiary of the iOS 4.2.1 firmware update. Apple iPad users can now enjoy multi-tasking, folders, Game Center and other iOS 4.0 features with the new firmware update. Apart from this, they will also get some new feature like AirPlay, AirPrint, etc., that are specially designed of firmware 4.2. The fourth generation Apple device’s iPhone 4 and iPod Touch 4G users will be happier with the OS 4.2 announcement. Now they don’t need to spend an extra amount for buying the MobileMe phone tracking service. The new Find My iPhone feature introduced in iOS 4.2.1 firmware will do it for free. Tata Docomo has officially launched their 3G services in India. They have become the first commercial mobile carrier in India to launch 3G. Tata Docomo’s partner NTT Docomo is the pioneer of 3G in the world. So the Docomo 3G deployment in India was pretty smooth and fast. Tata Docomo has a HSPA+ 3G network which is capable of delivering 3G speeds up-to 21mbps. Docomo 3G is currently available in selected cities of states where they have won the license. Existing Tata Docomo customers with any GPRS pack can access 3G services in their mobile, free (100MB) for the coming seven days. The 3G tariff plans and other offers will be announced after this introductory offer. With 3G, users can access high speed internet and HD video steaming in their mobile devices. They can also make high quality video and audio calls to other 3G enabled handsets. The speed of the 3G and facilities varies with the handset used and service area.